You’ve probably been to an Apple store. 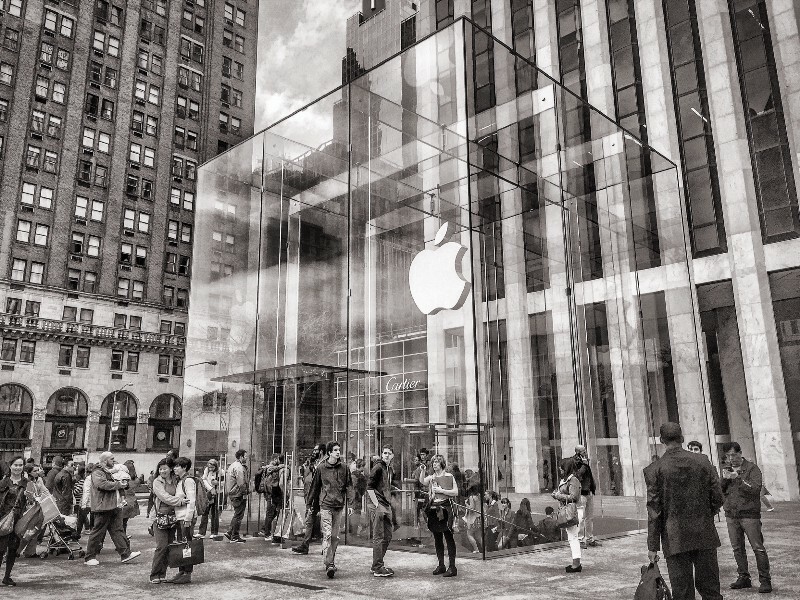 Even if you’ve only once walked past one, you would’ve noticed that Apple stores always seem packed with customers. In sharp contrast, Microsoft’s retail stores never seem to have enough customers despite the warm decor, plenty of helpful staffers and an array of devices. Steve Jobs liked to see long lines of people waiting in front of Apple stores to buy the latest Apple products. Why? Long lines are perhaps the most visible signal that the product is in high demand. Long lines increase the value and appeal of the product at a significantly lower cost. Some restaurants have made “waiting culture” a signal of quality, and diners end up valuing their food more than their leisure time. In Influence: The Psychology of Persuasion, Robert Cialdini discusses how people will break the law — such as jaywalking during a red light — much more easily when a well-dressed man in a suit makes the first move. Likewise, the more expensive the car, the longer people will wait to honk at it if the driver fails to notice the light has turned green. You see, signals are being broadcast everywhere all the time. Signaling theoryhas exerted a strong pull on civilization by unnoticeably influencing the decisions and actions of people in great masses. In fact, were it not for signaling theory, conspicuous consumption or Veblen goods couldn’t exist since the incentive to seek status symbols would dissipate. The gist of signaling theory is that at all times, in all situations, you are broadcasting aspects of your beliefs, values, identity, personality, and lifestyle to the people around you, often with significant social implications. Signaling theory is useful for describing behavior when two parties (individuals or organizations) have access to different information. Typically, one party must choose whether and how to signal that information, and the other party must choose how to interpret the signal. You are a radio station. You are always broadcasting. Whether you like it or not, you can’t turn it off as long as you are alive. You are also a radio receiver. You are constantly interpreting the broadcasts of others in real time, making snap judgments. You signal your ability to a potential employer through education, and you signal your risk preference to an insurer through the levels of deductibles and premiums. Live in a conservative area? Put a liberal bumper sticker on your car. Live in a liberal area? Put a conservative bumper sticker on your car. People will react very differently to you even if nothing else has changed and you’ve never said a word. The use of signaling theory has gained such momentum in recent years thatVitalik Buterin incorrectly used it as an argument to refute Craig Wright’s claim that he was Satoshi Nakamoto. Unsurprisingly, signaling theory also captures the dynamics between VCs and startups. Information asymmetries exist between VCs and startups, as well as between VCs and other investors. Startup founders are better informed about the operations and prospects of their business than new shareholders and creditors. 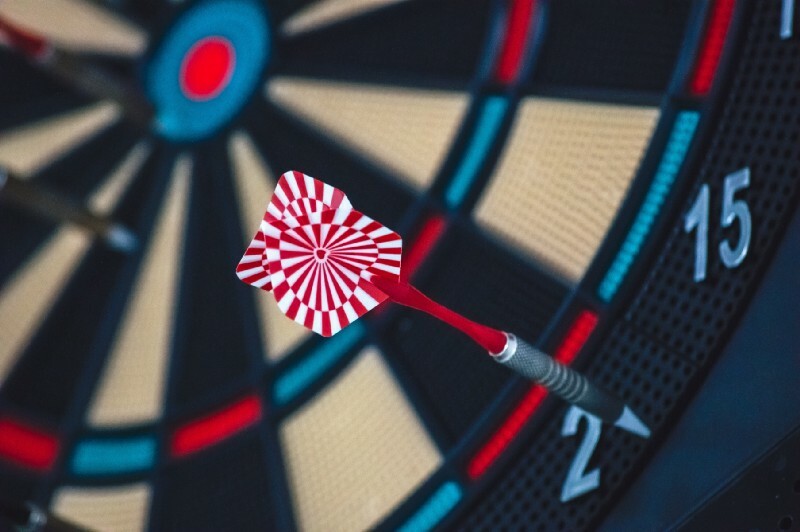 Since VCs usually don’t possess the same information as entrepreneurs, they have to detect the signals that will help define the company’s profile (e.g. due diligence). These information asymmetries stem from two sources: ‘‘hidden information’’ and ‘‘hidden action.’’ Hidden information leads to adverse selection, e.g. the inability of an investor to distinguish between high- and low-quality entrepreneurs. ‘‘Hidden action’’ leads to a moral hazard problem, which is essentially the inability of an investor to judge the effort level and quality of the entrepreneur’s decisions. VCs are usually attentive to your company’s information and what it signals, so they can anticipate other VCs’ reaction to each piece of the information. VCs like to talk to each other and often behave like lemmings. When they see that no one wants to invest in your company, they’ll be very reluctant to do so. If a top VC firm like Sequoia suddenly decides to put money into your startup, it signals to the larger industry that your startup is worth watching. 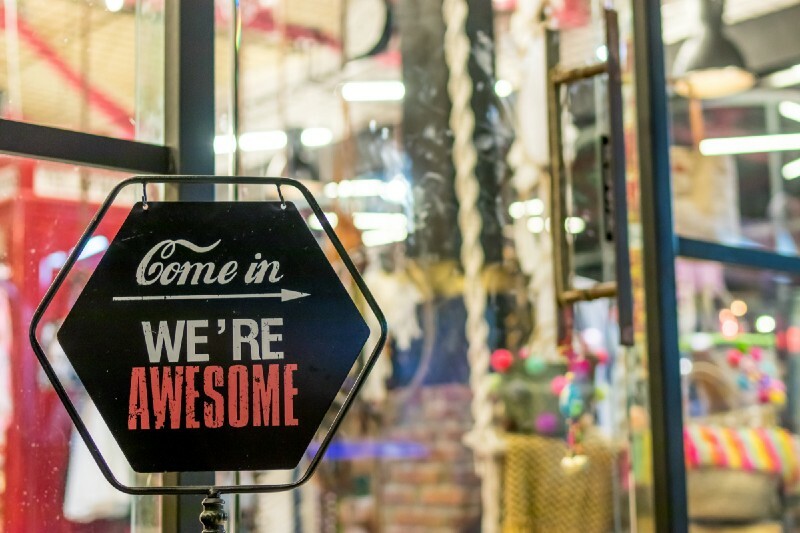 It can be a huge boon for your startup, allowing some of their “social proof” to rub off on the fresh-faced company. The VCs who are indecisive will make up their mind faster and those who passed on your company earlier will reconsider their initial decision. For startups, each funding event signals information internally to the company’s employees and externally to the larger market. 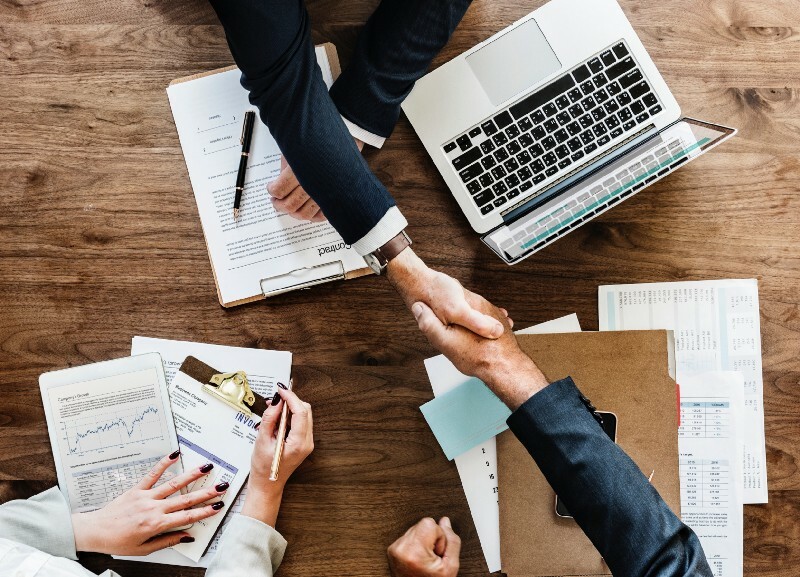 Researchers found that in early rounds, employee turnover significantly decreased before the funding event, which suggests that the signal has credibility even before the salaries go up. It tells the employees, “Hey, we’re a good company.” Employees start to believe in the future of the company and decide to stay. The signal of the funding event to the larger market communicates that this particular startup is one to watch. With more startups than potential investment funds, the funding event itself is as important as the amount of resources it infuses into the company. How long it takes you to raise money sends a signal, too. Once you’ve pitched your first investor, the clock starts ticking. Word gets around quickly that you are out “on the market” raising money. After a month or two, if you still haven’t generated strong interest, you risk being perceived as damaged goods. Which VC you raise money from is also important. When most entrepreneurs think about VC, they think, “Oh, I’m getting money!” as if they were going to a bank and it doesn’t matter which bank. 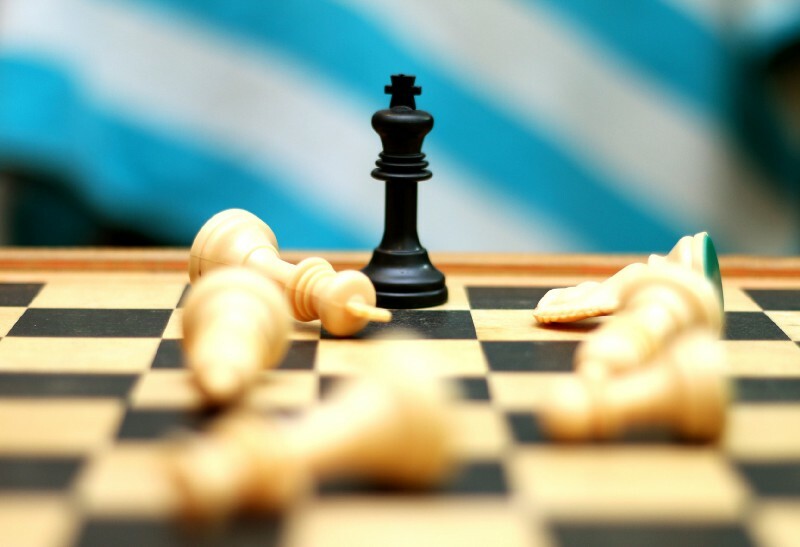 The choice of VC makes a lot of difference because the VC firm is going to influence the next round and the way you implement your strategies. 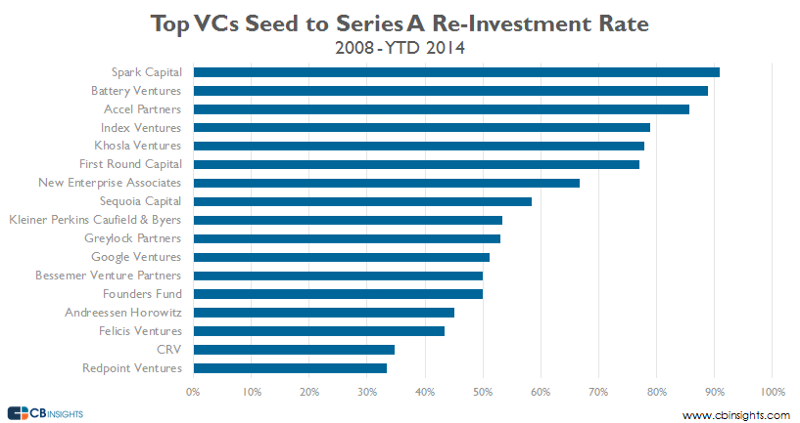 Overall, 35% of VC-backed Seed companies go on to raise a Series A. But if a company has a smart money VC in their seed round, their chances of raising a Series A go up drastically, to 51%. Only 27% of startups raise a Series A when a smart money VC doesn’t follow-on to their Seed investment in the A (versus 35%). This is the signaling risk. The signals VCs emit will have a huge impact on the evolution of venture financing dynamics. Research from CBInsights suggests that 35% of VC-backed seed companies raise a Series A, but when those seed investments come from so-called “smart money” VCs (those that provide knowledge, experience, and networking in addition to capital), that rate jumps to 51%. Having a big-name VC behind you dramatically increases your chance for a Series A. But statistics only tell part of the story and hide a more complex reality. When the time comes to raise a Series A, if your seed VC chooses to lead the round, that sends a powerful signal to the market: Something good is happening behind the scenes of your startup, and it’d be a smart move to get involved. But what happens if your VC doesn’t follow on? Suppose Sequoia gave you seed investment before but now doesn’t want to follow on. The market gets the same message: “If the investors with the best insight into your startup’s performance haven’t led their Series A, we should stay away. If they won’t put their capital at risk, why should we?” Soon you’ll be perceived as damaged goods. 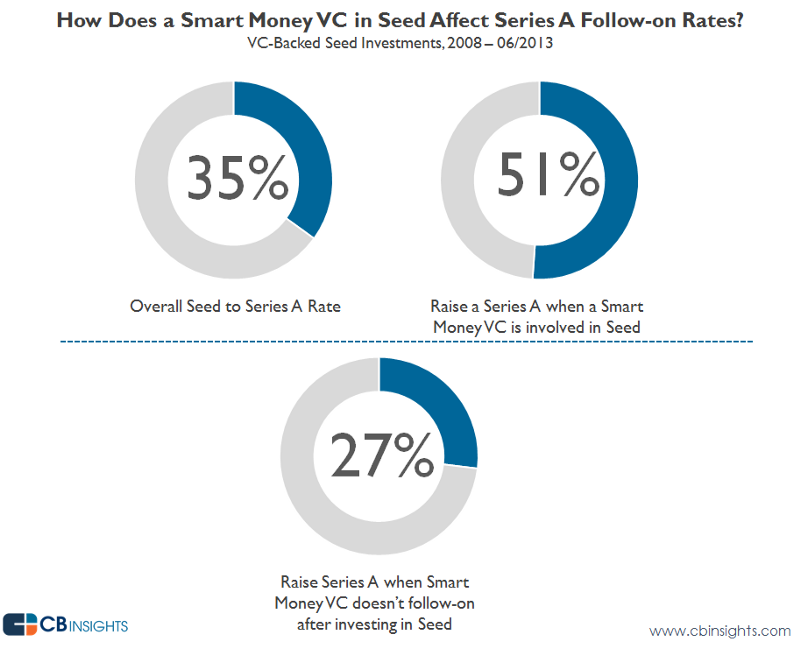 CBInsights data show that if that smart money VC doesn’t follow on, your chances of raising a Series A round plummet to 27%. Investors commit limited amount of money in seed rounds for a reason: to manage their capital at risk. That is, to have the option not to follow their initial money in a promising but fundamentally unproven project. Typically, returns generated by seed investments aren’t big enough to move the needle for big VC firms — even 100x returns on a small investment aren’t of the same magnitude as those VCs usually aim for. The first camp makes speculative seed investments in order to pave the way for far more lucrative Series A rounds. For the cost of a small seed investment, the VC is granted privileged access to later-stage rounds, allowing them first dibs on the startups that perform the best. Consequently, VC-led “mega seeds” are becoming more and more common. Getting money from a top-tier VC fund at any point in your life tends to maximize your chances of success — or so the industry would have you believe — provided that your company grows fast and performs well. The allure of big-name VCs and big-money rounds doesn’t come without its risks. The “branded” seed VC’s posture toward the next round has such strong signaling power that they can kill you and/or control the pricing of the round. You may not be very clear about the social contract you are entering into, especially if the VC is not upfront or transparent: “You can take our money and leverage our advice, expertise, brand, and network, but we may not back you in the future. The competitive advantage you enjoy today — in recruiting, closing customers or partners, getting publicity, etc. — may someday become an anchor around your neck. By taking our money, you actually increase your risk profile.” Founders are often too overwhelmed with excitement after funding confirmation to decide what level of risk they are willing to live with. … you need to be careful with funds that have done 20–30 seeds deals in fairly rapid succession. Talk to companies that have taken this money and see if they’ve gotten support. I have spoken at length to one such entrepreneur who tells me that he hardly hears from his VC. He was told informally that they view him as an “option” whereby they can wait and see if another VC makes an offer. The VC world is pretty small and information travels quickly. If your seed VC doesn’t follow on, there’s no guarantee you will still get a “fair” Series A valuation from other VCs. It might also rub off on other investors and, in some instances, they might even collude to drive down your valuation. Either way, there’s a chance you will end up with a lower valuation, less capital and less equity. Even if your seed VC decides to follow on in Series A, that doesn’t necessarily mean they will show a great deal of support. You have to be a bit savvy about the positioning exercises undertaken by VC firms. For example, it’s fairly easy for a VC to say, “We will always write you the second check, provided you can get an external lead we like.” But that second check turns out small. The VC can say he/she is supportive of the follow-on without committing a lot of capital to your company. That token amount doesn’t fundamentally solve your signaling issue. The new investors will be asking themselves, “Why isn’t Tier I fund X leading or co-leading this next round and leaning in?” You can’t really get away from signaling risk this way, even though having a top VC follow on flatters the statistics. Some VCs will back AngelList syndicates and follow the money automatically into Series A, thus avoiding signaling risk by the construct. Other VCs invest in a boatload of seeds and the market understands that they can’t possibly follow across the portfolio. Therefore, they effectively dilute the signaling effect by breadth. How many seeds do you invest in, per fund and per year? Do you always write the second check? How often do you end up leading the Series A? What milestones are you expecting to see? Don’t try to be clever and get an auction going. Don’t shop your term sheet. If you do, once the valuation gets to the point where only one VC remains, that VC will look left and right and see nobody there, which could be interpreted as a signal that your company isn’t worth the high valuation. Your last remaining VC might get cold feet and leave you with no deal at all. Save the auction for when you get acquired or go IPO. Remember that you aren’t looking for a seed investor, you are looking for a seed and Series A investor. The only surefire way to negate signaling risk is to become a truly irresistible investment. The stronger your growth, the more investors you will have queued up, whether or not your seed VC has followed on. More competition means a fairer valuation and less equity loss, while still being able to leverage a VC’s expertise and network. How to actually do that is the billion-dollar question. Previous Post What To Do When Your Business Becomes a Burden?